A space saving bed offering study, storage and sleeping in the space of one bed. Very suitable for small bedrooms as well as large bedrooms where a cosy, compact study, storage and play arrangement is wanted. There is the option of making the combination colourful and fun with a choice of brightly coloured cube units to choose from. The main construction of the bedframe is produced in solid pine ensuring strong, long lasting quality. 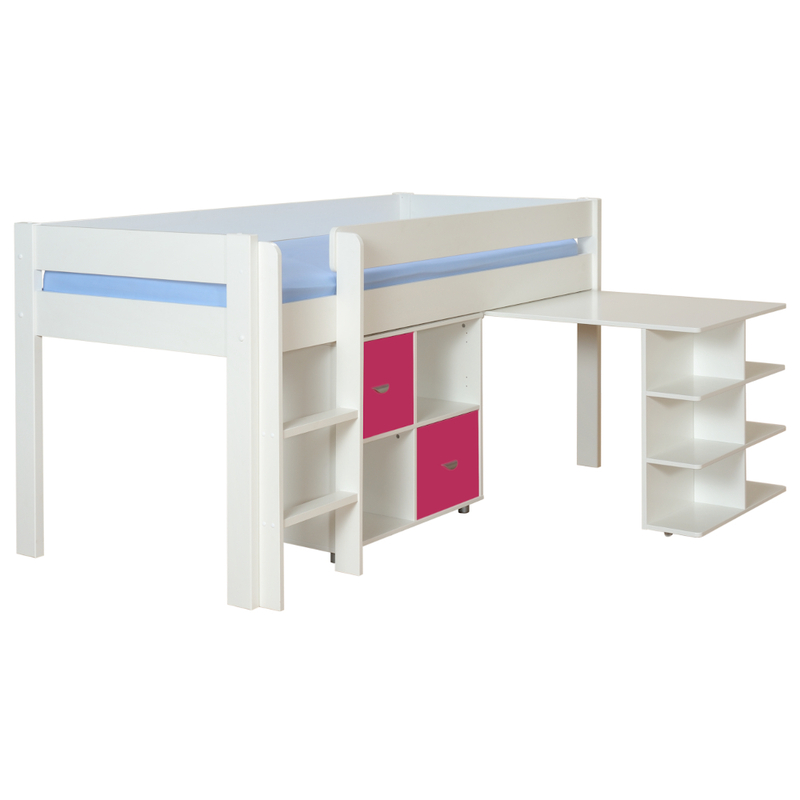 Includes Uno S Midsleeper with Pull Out Desk and Cube Unit with 2 pink doors. The combination incorporates Midsleeper Bed with Pull Out Desk on castors and 1 Cube Unit with 2 doors. Comfortable flat steps on ladder. The Cube Unit can be positioned either in the width of the bed or next to the Pull Out Desk.